It has been so long since I reached into the Sesame Player treasure chest to grab a G.O-centric scene from a random episode. Thursdays are known for their throwback moments so I figured it would be a good day to revisit the hallowed chambers of the Fragrant Interview from Episode 4 to hear G.O’s thoughts on idol etiquette along with a side order of mandatory aegyo and a rather cheeky rolling paper dance. Yes, the fun-filled elements of this show continue to entertainment me even after multiple views. As much as I enjoy all of the antics MBLAQ threw at us during their playful and quirky show, Sesame Player, I have to say The Fragrant Interview was probably my favorite segment of the half hour long episodes. 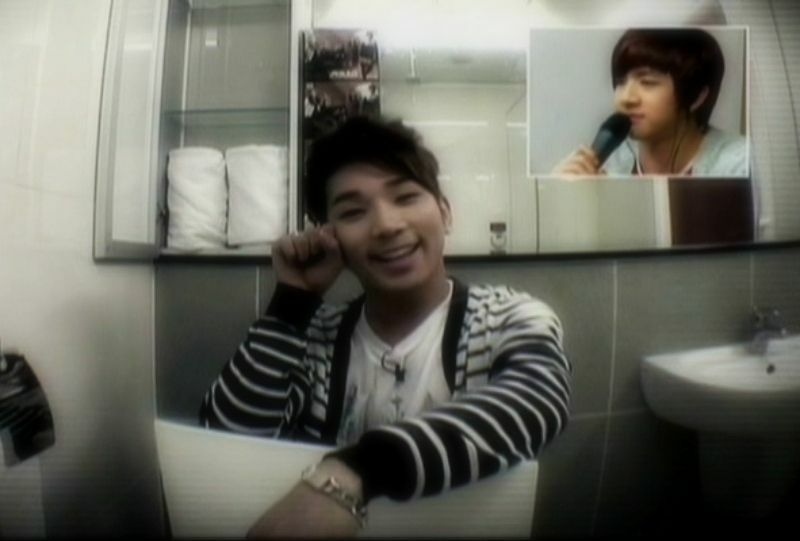 And, I especially loved when G.O was the interviewee as opposed to the interviewer. 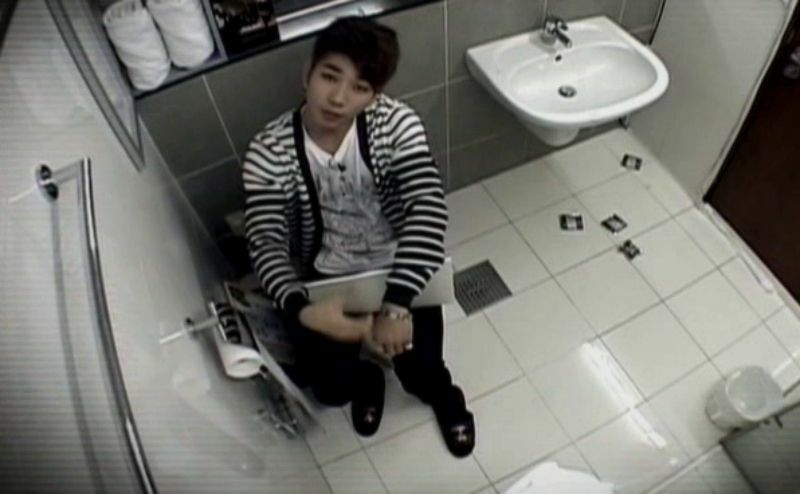 It did not matter who the interrogator was on the other end (Seung Ho, Lee Joon or Cheondung), because I have to believe that G.O’s straightforward and often witty responses to any inquiry set before him were 100% unadulterated truth, every time. A straight shooter through and through, we can always count on G.O to tell it like it is. When given a series of answers to choose from regarding what is fitting for an idol and what is not fitting, as expected, G.O did not hesitate with his answers. But first, there was the rolling paper dance . . . 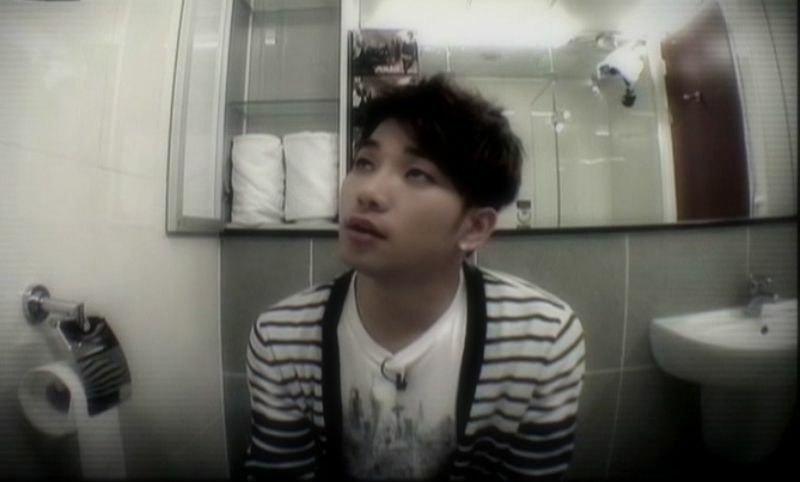 The first qualification G.O said an idol should have is passion. Oh my…yes. Interesting that the first thing G.O said that is not fitting for an idol is dating. He is ever sensitive to the thoughts and feelings of his fans, isn’t he? <hehe> Also unfitting were being a fashion terrorist and waste products (for example, a runny nose, lol). 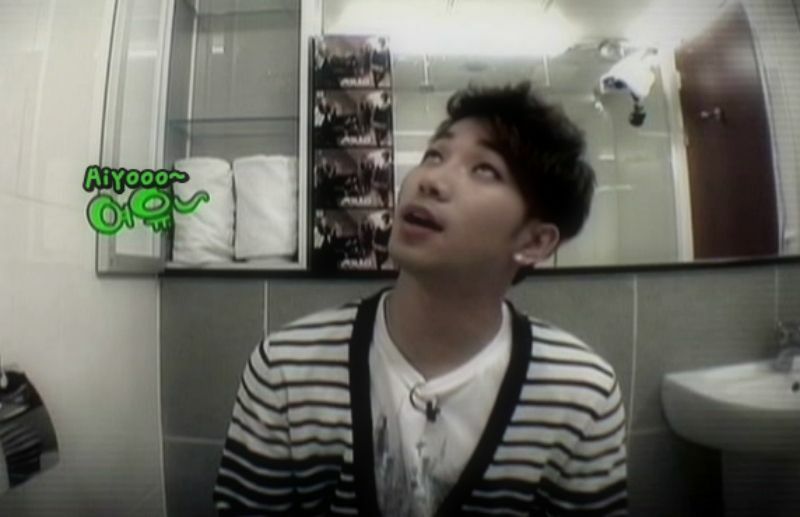 Those things fitting for an idol, according to G.O are: team work, personal talents, and singing. On point, sir! Categories: G.O Military Discharge, MBLAQ Musings, The G.O Files | Tags: G.O, G.O images, G.O's Aegyo, Idol Etiquette, 정병희, 지오, Jung Byung Hee, Jung Byung Hee images, Korean Variety, MBLAQ G.O, MBLAQ G.O images, MBLAQ G.O on Television, MBLAQ G.O on Variety, MBLAQ G.O on Variety Shows, MBLAQ G.O's Aegyo, Sesame Player, Star King Korean Variety Show, The Fragrant Inteview | Permalink.